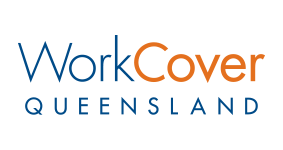 WorkCover Queensland is committed to making a positive difference to people’s lives. Our purpose is simple: we partner with and support our customers to keep Queenslanders working. Our customers are at the heart of everything we do. We aim to understand our customers deeply to deliver valued experiences and tailored solutions. Our people are connected to purpose and we’re creating an environment that inspires them to make a difference. In this role you will be responsible for leading a great team to deliver efficient and effective customer policy and premium investigations, ensure employers are correctly insured and compliant under the Worker's Compensation Act. You will also be responsible for managing the investigation process of potential fraud. Proven ability to collect data, organise into relevant information and provide analysis that adds value to the organisation. Please submit your resume and covering letter to Kathy Nadenic, Senior Consultant People and Culture with applications closing at 5pm, Tuesday 23 April 2019. In this role you will be responsible for leading a great team to deliver efficient and effective customer policy and premium investigations, ensure employers are correctly insured and compliant under the Worker&#39;s Compensation Act. You will also be responsible for managing the investigation process of potential fraud. - Proven ability to collect data, organise into relevant information and provide analysis that adds value to the organisation. Please submit your resume and covering letter to Kathy Nadenic, Senior Consultant People and Culture with applications closing at **5pm, Tuesday 23 April 2019**.